Trumann could only muster two hits off Kloey Harlson as the Lady Hornets pounded out 12 hits in a 9-0 win over the Lady Wildcats this past Monday in Trumann. Harrisburg scored three runs in the top of the first as Ansley Wixson led off with a single. 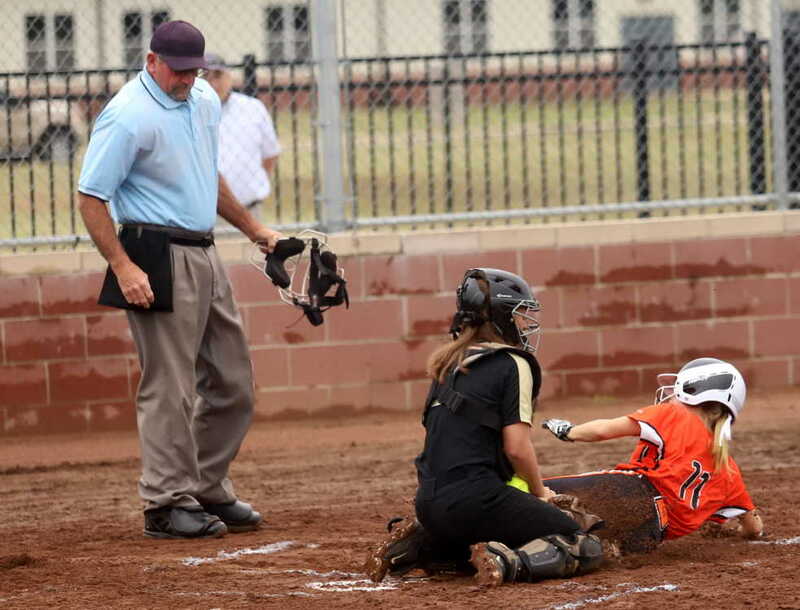 Anna Walker reached on a fielder’s choice as Wixson was safe at second on a Trumann error. Jehlian Wright was walked intentionally before Harlson’s fielder’s choice ground-out scored Wixson making it 1-0 Lady Hornets. Gretchen Morgan flew out as Walker scored on a ground-out by Hayden Hopkins to make the score 2-0 Harrisburg. Cassis Armstrong grounded out for the third out. Trumann went three up and three down in the bottom half as Sydney Callahan, Karsen Overshine and Daly Taylor all struck out keeping the score 2-0 Lady Hornets. Destiny McGuire reached on an error leading off the top of the second and went to second on the same play as Kendyll Grissom grounded out with McGuire moving to third. Wixson’s ground-out scored McGuire to make it 3-0 Harrisburg. Walker and Wright had back to back singles only to be left on base as Harlson flew out. Maddie Roach struck out for the first out in the bottom half as Hannah McClaughlin watched strike three. Mallory Mincy reached on an error and was stranded on base when Hazel Russell struck out to end the inning. Complete game story in April 11 PCDT on newsstands now!